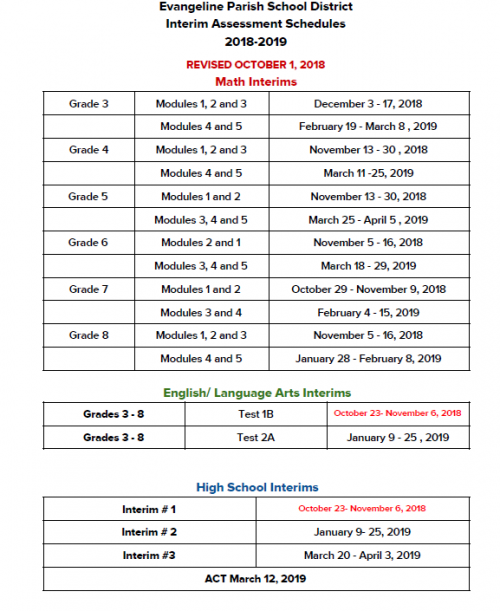 Welcome to the Evangeline Parish School Board’s High School Curriculum Page! As a district, it is important that our professionals implement a rigorous, standards-based curriculum that emphasizes high expectations and alignment from one grade/course to the next. It is with this vision that we are preparing all students for post-secondary opportunities. The district is committed to providing every child the opportunity to be successful and flourish. Secondary professionals participate in Professional Learning Communities (PLC’s) to make informed decisions using data-driven practices. Professionals have access to State resources to build teacher capacity, provide training, and network with other specialists to develop a deep understanding of curriculum development. Together, we have one common goal—to produce outstanding graduates capable of making a difference in our community and world.